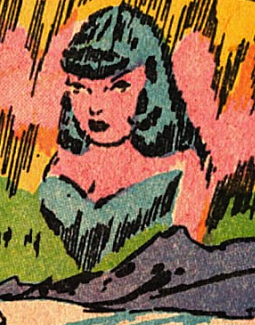 the first superheroines, predating other women in superheroic roles like Wonder Woman, and paving the way for women in comics? 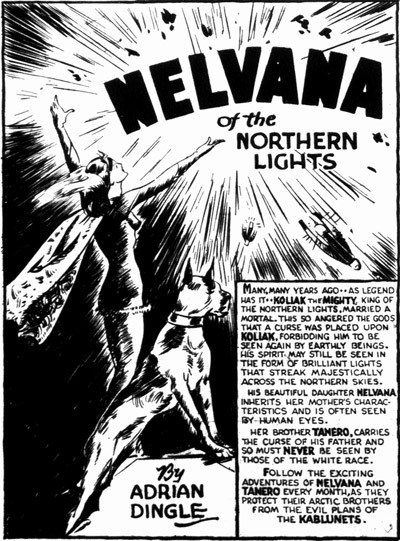 Since so few people know about the history of Nelvana of the Northern Lights, Hope Nicholson and Rachel Richey were inspired to do some archival research and resurrect Nelvana like so many characters from the comic books themselves who are brought back out of the darkness into life. Rachel Richey and Hope Nicholson were inspired by their research to re-release the classic Nelvana of the Northern Lights comics, and since Nelvana is such a fascinating character, I asked them if they would be willing to share some of their insights with us. Check out our upcoming interview on Friday September 27th and hear about the connection between the Group of 7 artists and Nelvana’s creation, the portrayal of Nelvana’s connection with northern indigenous people in Canada that were rarely depicted in comics of the time, the potency of a pacifist superheroine at a time of war, and the power of this series to blend sci-fi, crims tories, adventure, and humour comics. Ms. Richey and Ms. Nicholson went through a similar excitement at the discovery of Canadian comics to what those of us who love comics have gone through when suddenly they discover that Canada IS INDEED part of the comic book world, and they took steps to bring that joy to others by resurrecting this figure from Canadian comic history. If you are interested in the history of Canadian comics, women in comics, or the awesomeness of superheroic figures, you will definitely not want to miss this interview on Friday September 27th! This entry was posted in Interviews, News and tagged Canadian history, Canadian Superheroes, Comic Books, comics, feminism, Hope Nicholson, interviews, mixed genres, Nelvana of the Northern Lights, news, pacifism, Rachel Richey, Superheroes.